Governor Jan Brewer has issued an executive order creating a Master Energy Plan Task Force to come up with a draft state energy plan by September 2013. Lisa Brug, head of the Governor's Energy Policy Office will chair the body, which has a charge to maintain a diverse energy portfolio and find ways to keep energy dollars in Arizona. Arizona currently is almost entirely dependent on out of state supplies of oil, natural gas, and diesel fuels. NASA reports that researchers analyzing spectrometer data from NASA's Mars Reconnaissance Orbiter, looking at the floor of McLaughlin Crate, found that the Martian crater may once have held a groundwater-fed lake. 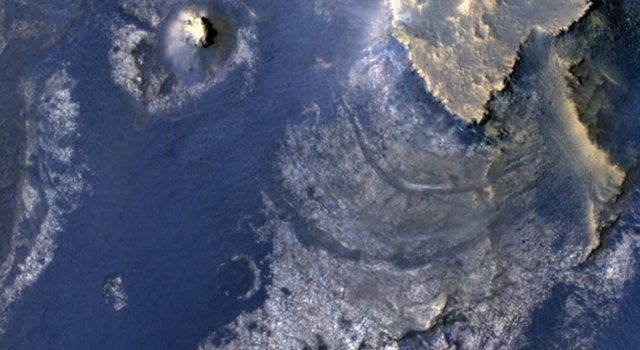 The Martian crater is 57 miles (92 kilometers) in diameter and 1.4 miles (2.2 kilometers) deep. McLaughlin's depth apparently once allowed underground water, which otherwise would have stayed hidden, to flow into the crater's interior. Layered, flat rocks at the bottom of the crater contain carbonate and clay minerals that form in the presence of water. McLaughlin lacks large inflow channels, and small channels originating within the crater wall end near a level that could have marked the surface of a lake. Together, these new observations suggest the formation of the carbonates and clay in a groundwater-fed lake within the closed basin of the crater. Some researchers propose the crater interior catching the water and the underground zone contributing the water could have been wet environments and potential habitats. The findings are published in Sunday's online edition of Nature Geoscience. Augusta Resources just announced that it has received the Air Quality Permit for its Rosemont Copper project [right, credit Rosemont Copper] in the Santa Rita Mountains south of Tucson, from the Arizona Department of Environmental Quality ("ADEQ"). According to the announcement, the Air Quality Permit stipulates the operating, monitoring and reporting parameters that Rosemont must comply with to meet all federal, state and local air quality requirements. The company says that "the Rosemont has now received seven major permits required to commence construction. Only one major permit is remaining, the Clean Water Act Section 404 Permit from the US Army Corp of Engineers, which the Company expects to receive upon the issuance of the Record of Decision ("ROD") on the Plan of Operations from the U.S. Forest Service." The Tucson Gem,Mineral, and Fossil Showcase is unofficially underway. Even though the 43 various shows around greater Tucson don't formally open until Saturday, tent cities are up everywhere and buyers are already scoping out deals. We here at AZGS have set up a new blog "Gem of a Show" at the The Arizona Experience website to capture posts for the Showcase and the grand finale Tucson Gem & Mineral Show 2013 "to help investigate, record, and commemorate one of Arizona’s premiere events. Discover exciting new minerals for sale, dive into the wide world of beads, and locate the best Mexican restaurants. For the duration of the show, the Arizona Experience is digging for tips, insights, and insider information to help make your show experience a success." A new study commissioned by the US Chamber of Commerce reports that carbon dioxide based enhanced oil production (CO2 EOR) accounts for nearly 6% of U.S. onshore oil production, or 350,000 barrels a day, but it could be expanded to produce a potential of 4 million barrels a day of oil for 50 years from existing U.S. oil fields. To put that in context, total US crude oil output rose in late 2012 to 6.5 million barrels per day. 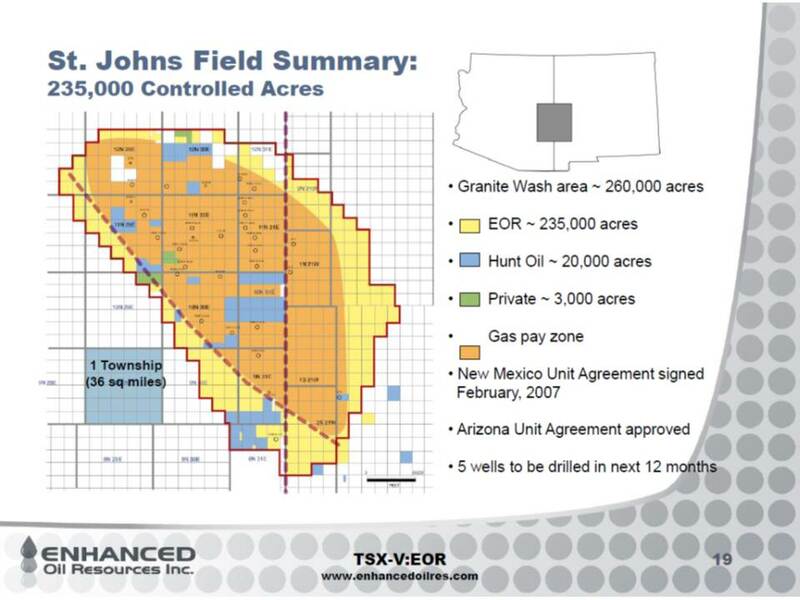 The USCC report shows the St. John's CO2-helium field in eastern Arizona and western New Mexico as one of the potential sources of the additional CO2 needed to ramp up EOR production, especially in New Mexico and Texas oil fields. Kinder Morgan is carrying out an expanded evaluation program of the St. Johns field in preparation for producing it and shipping the CO2 east via pipeline. 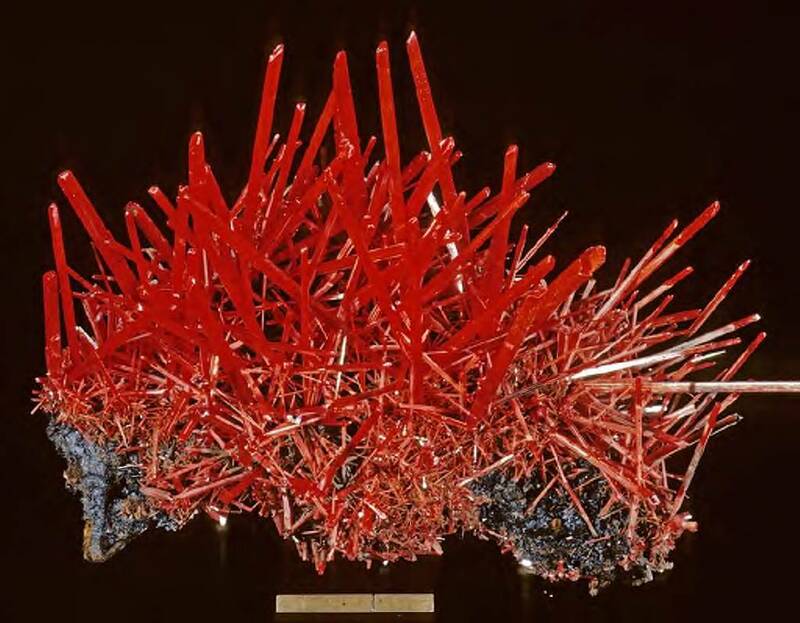 If you watched the premiere episode of our online video magazine, Arizona Mining Review last week, you would have heard Tucson Gem and Mineral Society representative Peter Megaw wax eloquently about expectations of specular specimens of crocoite expected to be on sale from the recent (2010) find of a new pocket in a mine in Tasmania. A note from Blue Cap Productions today, announced a video about the crocoite discovery in the Adelaide Mine. Many dealers are expected to be offering specimens at the upcoming show. Arizona produced minerals worth $8.05 billion [corrected 1-29-13] in 2012, according to the just released USGS Mineral Commodities Summary 2013, which put Arizona in second place behind Nevada. Arizona's mineral production accounted for 10.52% of all non-fuel mineral production in the U.S. The primary minerals mined in Arizona are copper, molybdenum concentrates, sand and gravel (construction), cement (portland), silver. U.S. metal mine production in 2012 was $34.9 billion, about 3% less than that of 2011, while the value of U.S. industrial minerals mine production in 2012 was $41.6 billion, more than 7% more than that of 2011. According to the report, "Domestic raw materials and domestically recycled materials were used to process mineral materials worth $704 billion. These mineral materials... were, in turn, consumed by downstream industries with a value added of an estimated $2.4 trillion in 2012." The theme of the 59th Tucson Gem & Mineral Show is Fluorite: Colors of the Rainbow." The official show runs February 14-17, 2013 at the Tucson Convention Center. Word among dealers is that a larger than normal Chinese delegation will be here for the show. In the past, China sold its specimens to the global collecting community. But now, there is a growing demand among Chinese collectors and many specimens are being purchased for return to China. There is also interest in creating gem and mineral shows in China, and their representatives will be looking at how we do it in Tucson. Newly introduced House Bill 2087 amends ARS (Arizona Revised Statute) 27-208 to include maintenance fees references for mining claims. HB2087 currently sits in the Committee on Energy, Environment & Natural Resources. 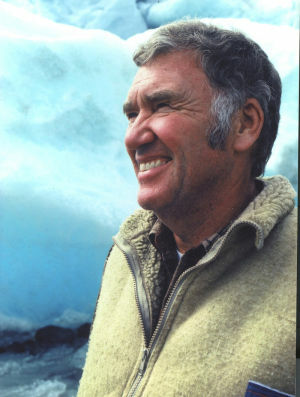 Tom White, with Kinder Morgan, told the Arizona Oil & Gas Corporation Commission at their quarterly meeting that the lateral extension they drilled in their "10-5-30 State" well (AZOGCC Permit 964) flowed 9 million cubic ft of mostly carbon dioxide gas a day from fractures in granite and that Kinder Morgan would be taking a close look at the relationship of fractures to production. The company is continuing confirmation drilling of the field before building a pipeline to take the CO2 to oil fields in eastern New Mexico and West Texas for enhanced oil recovery in old fields there. A flow rate of 9 MMCFD is many times larger than anything encountered in the field so far. Kinder Morgan expects to drill as many as 25 wells in the field in the next year. The Arizona Legislature enters its second week with a growing slate of bills introduced. In addition to SB1017, which requires AZGS to establish a mining and mineral museum, we are watching HB2443 which amends the statute on local government planning requirements for aggregate resources, and HCM2003, a resolution calling on the U.S. congress to adopt the land exchange needed for the Resolution copper project mine to move forward. HB2394 provides a technical correction to the appointment dates of Oil and Gas Commissioners. HB2443 adds specific reference to identify AZGS, State Mine Inspector, and State Land Dept. as sources of maps needed by local planners to identify aggregate resources. Legislation two years ago (SB1598) set up the planning requirement with the assumption that existing maps would serve the purpose. However, it was quickly discovered that local governments do not have the expertise to convert general geologic maps into something that delineates viable aggregate deposits. As mapmakers, AZGS was upfront in stating that our map units do not automatically translate into resource categories. The new bill does not provide any resources to carry out the development or conversion of maps for planning purposes; it just confirms which agencies are expected to take on this added duty. Join me for the premiere online episode of "Arizona Mining Review"
Join me on Wednesday, January 23, for the inaugural live episode of the online streaming video magazine Arizona Mining Review. Arizona is regularly the number 1 or 2 producer of non-fuel (i.e., other than coal) minerals in the US, and mining historically was one of the largest component of the Arizona economy. Today, Arizona provides nearly two-thirds of all the copper used in the country. Serve as a primary source of geologic information in this state to enhance public understanding of the state's geologic character, geologic hazards and limitations and mining and mineral resources. Inform, advise and assist the public in matters concerning the geological processes, materials and landscapes and the development and use of the mineral resources of this state. Arizona Mining Review a live, online video magazine from the Arizona Geological Survey designed to explore and review the state of mining in Arizona -- its challenges and successes. From potash to copper to gold, from mineral exploration to policy development, we’ll invite experts from industry, academia, research, and politics to join us to discuss the current state and future of mining in Arizona. In our inaugural broadcast, I will be joined by Nyal Niemuth, (Chief of AZGS’s Economic Geology Section) to provide an update and overview of mining in Arizona in 2013. Mining News & Update. Nyal Niemuth and I will explore Arizona’s mining landscape for 2013 and deliberate on the state of copper, gold, silver, rare earth elements exploration and mining. 2013 Tucson Gem and Mineral Show. 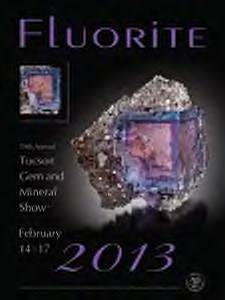 Featured guests Mark Ascher, President of the Tucson Gem and Mineral Society, and a representative from the Metropolitan Tucson Convention Visitors Bureau join me to preview the 2013 gem and mineral show. Interactive Arizona Mining Map. Janel Day (AZGS GIS and Data Manager) will demo a new, online interactive mining map for Arizona’s industrial minerals. Subscribe to the Arizona Mining Review listserve (subscribe at amr@azgs.az.gov) for regular reminders of upcoming episodes. The National Park Service is using MapCollaborator as a "web-based mapping tool and database for Anza Trail Partners (agencies, non-profits, volunteers) to assist NPS in documenting the Anza Recreational Trail and its resources. Once approved by NPS staff, data entered on this site will be shared on our public website at www.mapsportal.org/anzatrail." Here's a screen shot of a photo from Painted Rock Petroglyph Site along the trail, that pops up once the map site is clicked. In early January 2013 Arizona had 49,255 mining claims compared to 43,652 in early January 2012. Breakdown by claim type was 39,833 lode claims, 6,969 placer claims, 2429 millsites, and 24 tunnel sites, as reported on the BLM's LR2000 web site.